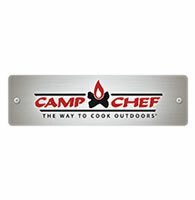 Camp Chef is a leading producer of outdoor cooking solutions. Camp Chef’s high-quality products deliver efficient ways to cook for almost any outdoor gathering, from campouts to dinner on the back patio. The brand’s products include stoves, barbecue grills, pellet grills, smokers, fire pits and a full line of cast-iron cookware and accessories. Visit www.campchef.com.